Due to some reasons one of the boring bar on a cnc lathe machine got completely damaged, so I just replaced the damaged boring bar with a new one, here I am going to narrate the whole story of tool replacement. 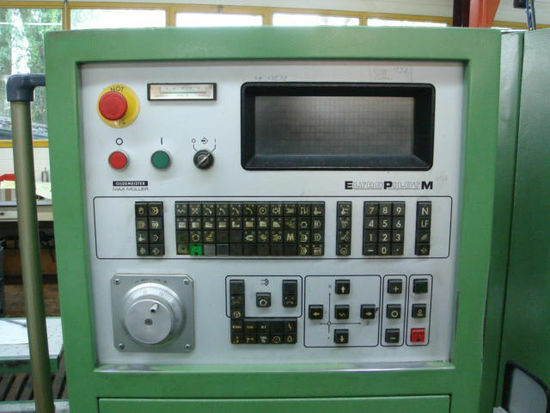 I replaced the boring bar on one of CNC machine FMS-5 with EPM (Eltro Pilot M) cnc control from Gildemeister. The boring bar tool no. was S10K SDUCL 07 , the insert used on the boring bar is DCMT 070204 . As the boring bar code shows the boring bar diameter is 10mm, and the cutting edge of the insert used on this boring bar is 7mm and with 0.4mm insert cutting point radius. I just tightened the boring bar in the boring bar tool holder. The tool holder was of collet type, so you can easily change the collet according to your requirement and use it. Then I took the tightened boring bar to the Tool Offsetting Machine or Tool Presetting Machine, and measured the boring bar values for the x-axis and z-axis. Then I brought the boring bar to the cnc machine and tightened the boring bar in the cnc machine tool turret. 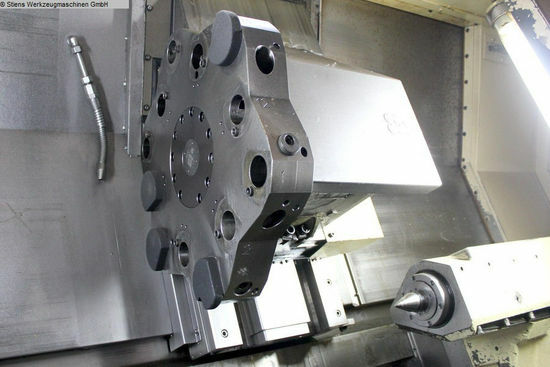 This cnc machine tool turret has total 12 tool stations, in those 12 tool stations 6 are called inner tool stations and the other 6 are called outer tool stations. The distance of the inner tool station from the tool turret center point is 160mm, and the outer tool stations distance from the turret center point is 215mm. Now comes the actual and critical part, now I had to try out the new tool. This part is critical is because if you just have made a mistake during measuring the tool offset or entered the wrong value in tool file, then something really can go wrong. So whenever I set a new tool I run the machine in Dry Run mode , in dry run mode all the feed are controlled through the feed override or cnc machine handwheel (the G00 feed also comes under control), So I can easily increase or decrease the feed value according to my liking. But the problem with EPM is that it has no Dry Run mode, but Feed Override works the same way so no problem at all. Now I just put the machine under Single Block Mode and run the program blocks one by one, watching carefully what is happening. If the tool measured values are ok and the cnc program has no faults then everything will go smoothly, but if any awkward thing happens I just stop the machine and recheck the tool measured values and correct them and rerun the cnc machine program. If the tool completes its operation successfully I just put the cnc machine under automatic mode. Now the cnc machine is ready for use.